This is the fourth in a series of posts in May to commemorate Mental Health Awareness Month. Mental Health America’s website at http://www.mentalhealthamerica.net/may has scores of ideas to help make people more aware about the importance of good mental health. After speaking with several veterans I’d like to help collect some new thoughts on post-traumatic stress disorder (PTSD). To date, through press releases most mental health professionals are the only community voice on PTSD. They continue to express PTSD with the same worn-out statistics and confusing definitions. Considering that we are the veterans experiencing these reactions after deployment, doesn’t it make sense for us to develop an equally important voice on PTSD? 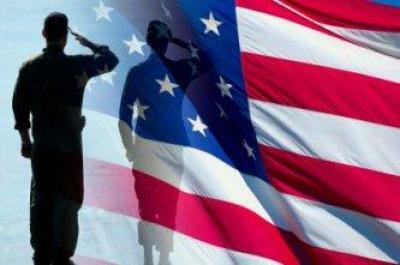 ** A friend and Vietnam veteran with severe PTSD symptoms now suffers from chronic fatigue. He was a photographer in Vietnam who had to go in after battles and photograph the aftermath before bodies were removed. He doesn’t feel he is as deserving of PTSD treatment as those who experienced more combat. ** A woman I met who served in the Air Force never saw combat or violence. Her job was to load onto planes and send home the caskets of soldiers killed in battle. She too believes herself less qualified to seek treatment for her PTSD. * Can we develop a strong public message that no single person or military service is qualified to judge who seeks treatment? Can we send a strong and united message on this issue to everyone who served? * Can we change the public’s perception that PTSD is a condition that sufferers will simply have to spend a lifetime managing while the rest of the world goes on to enjoy the pleasures and joys in life? Can we, instead, promote the idea that our war experiences and readjustment/PTSD are part of our total life experience and that we too can envision a goal of experiencing the joys in life? I believe it is time for veterans and families to speak out, refresh and expand the understanding of PTSD. This is just an introduction to these topics. Let me know your ideas and suggestions. Please share this with other veterans. Let me know your comments and suggestions by emailing me at: mso.orban@gmail.com. Michael Orban is a speaker on PTSD and the author of “Souled Out.” As a military veteran, Michael Orban has defeated combat PTSD and shares his insights in his own words. He has learned what you could benefit from understanding. For more information, visit http://www.mikeorbanptsd.com. Note: This article originally appeared as part of the “Brown Bagger” insert in the May issue of Employee Assistance Report (EAR). For more information or a sample copy, check out the “Employee Assistance Professionals” tab at http://www.impact-publications.com. This is the second in a series of posts in May to commemorate Mental Health Awareness Month. Mental Health America’s website at http://www.mentalhealthamerica.net/may has scores of ideas to help make people more aware about the importance of good mental health. With American troops at war for over a decade, clinicians suspect that some veterans are suffering from “moral injuries.” These are wounds caused from having “done something,” or having “failed to stop something” that violates the individual’s moral code. According to the National Center for PTSD .. http://www.ptsd.va.gov in the context of war, moral injuries may stem from direct participation in acts of combat, such as killing or harming others, or indirect acts, such as witnessing death or dying, failing to prevent immoral acts of others, or giving or receiving orders that are perceived as gross moral violations. * Anger about betrayal-based moral injuries. * Alcohol or other drug use. 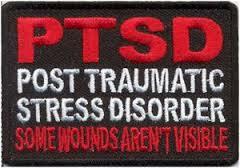 * PTSD is a mental disorder that requires a diagnosis. Moral injury, conversely, is a dimensional problem – there is no threshold for the presence of moral injury. Rather, at a given point in time, a veteran may have none, or mild to extreme manifestations. * Transgression is not necessary for a PTSD diagnosis nor does the PTSD syndrome sufficiently capture moral injury (shame, guilt, etc). 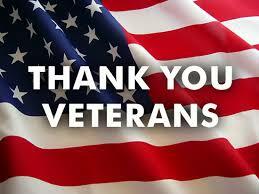 Additional sources: Shira Maguen, Ph.D. and Brett Litz, Ph.D., U.S. Department of Veterans Affairs. This article should not be construed as a substitute for medical advice, diagnosis or treatment.